Jesus Christ is arguably one of the most pivotal individuals in all of history. Certainly no single figure has had a greater influence on global art and culture during the last 2000 years. For centuries, the most important artists were painting and sculpting images of Jesus, and their work has had an immeasurable influence on the world's aesthetic today. This program traces the dramatically different ways in which Jesus has been represented in art by people throughout history and around the world. An unprecendented travelogue of art and monuments from the early 3rd century to the present, "The Face: Jesus in Art" takes viewers from ancient Rome to 20th-century America, from Europe to the Middle East, to illuminate the most beautiful and spectacular representations of Jesus and his stories. The program features up close views of the catacombs of Rome, Michelangelo's work, the treasure of Chartres Cathedral and much more. Filmed on widescreen 35-millimeter film, the program utilizes the latest digital technology and motion control technology to illuminate the stunning and incredibly varied representations of Jesus. The beauty of these treasures is captured in unprecedented detail, proximity and quality. 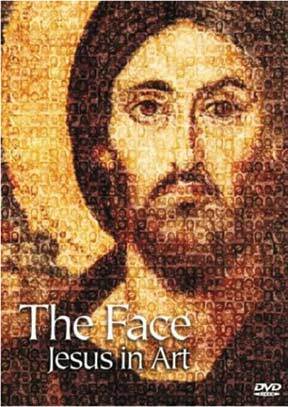 A sweeping and visually riveting lesson in art history, "The Face: Jesus in Art" is a documentary of extraordinary depth and beauty that touches all who experience it.